scratching posts (also called activity centers) for cats. versions of these so you can shop around for a good price. you know your cat likes. gift giving, they are about sharing your time with others. holiday, they will thank you and reward you for it. 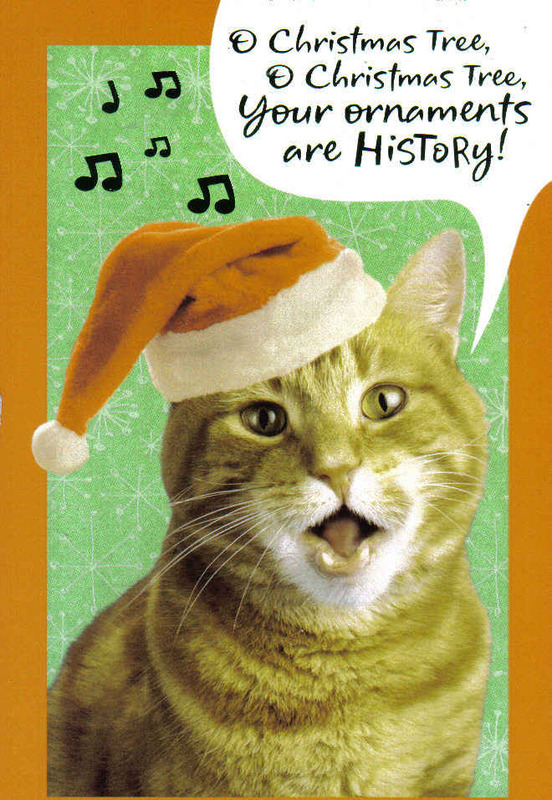 Here's what's on a Cat's Favorite Christmas Card. Your Ornaments ..... Are History!